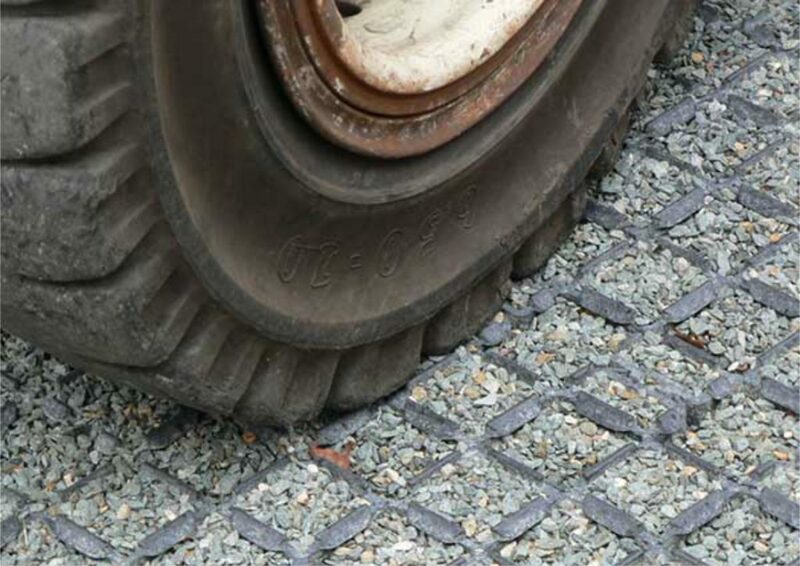 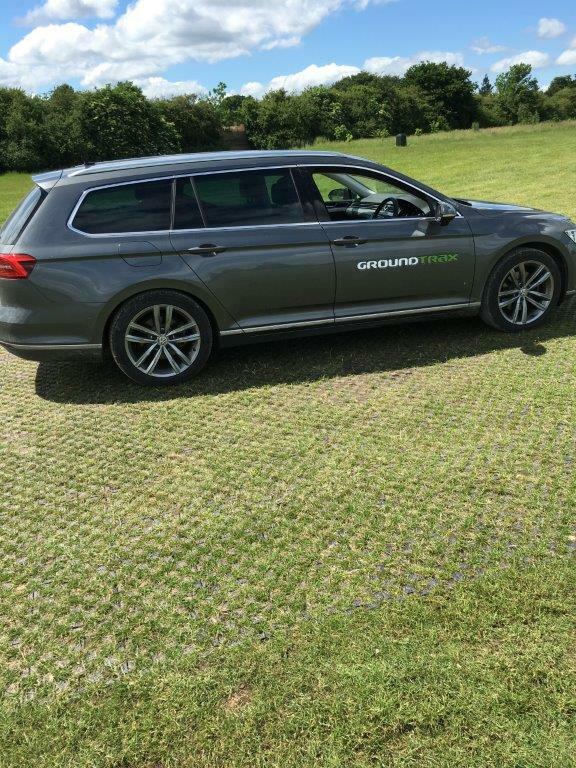 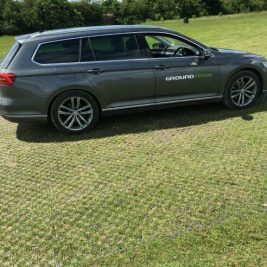 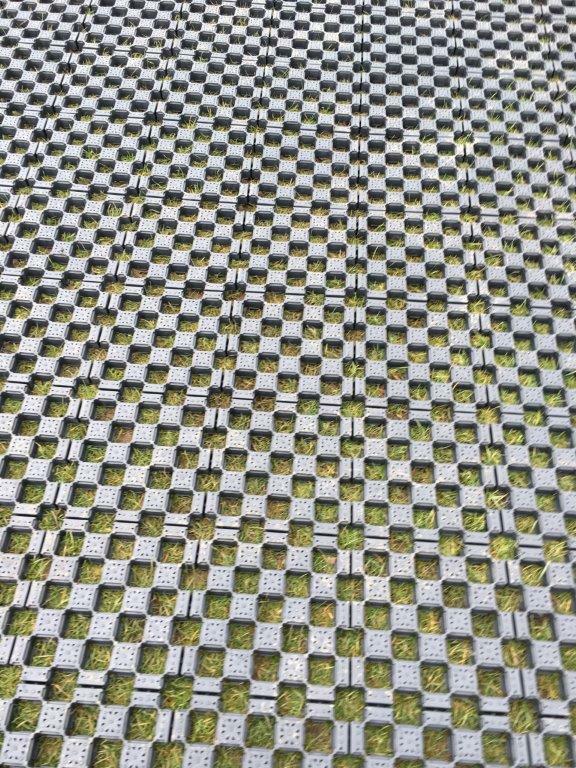 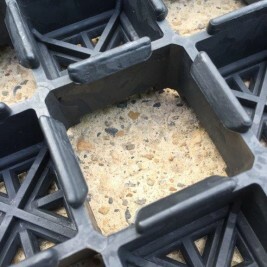 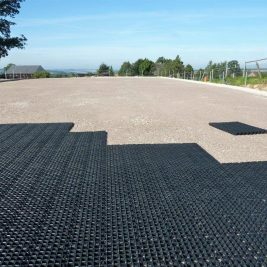 CellPave AP from Groundtrax is a ‘no-dig’ anchored ground reinforcement paving tile. 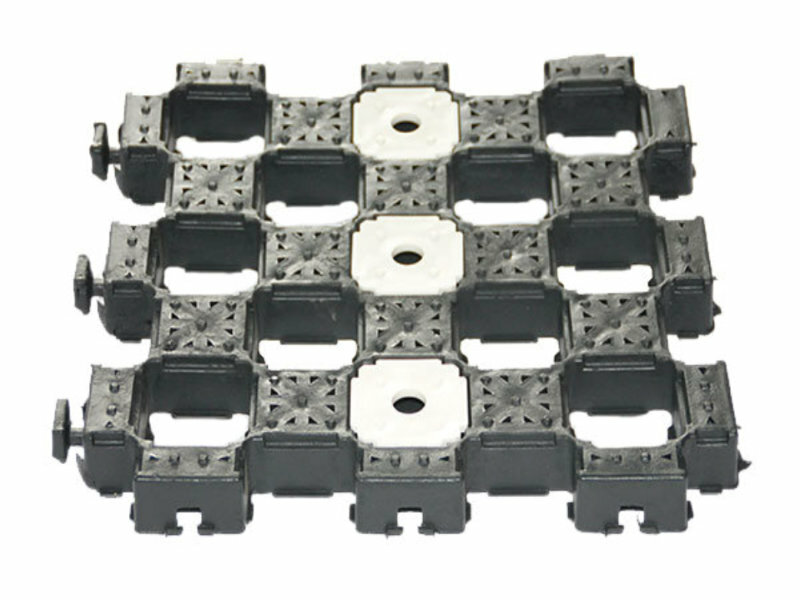 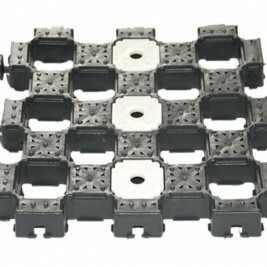 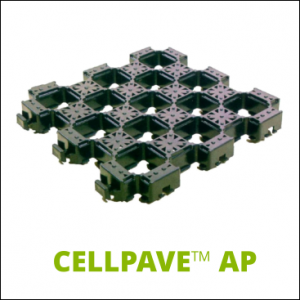 Installing CellPave AP tiles is simple and easy. 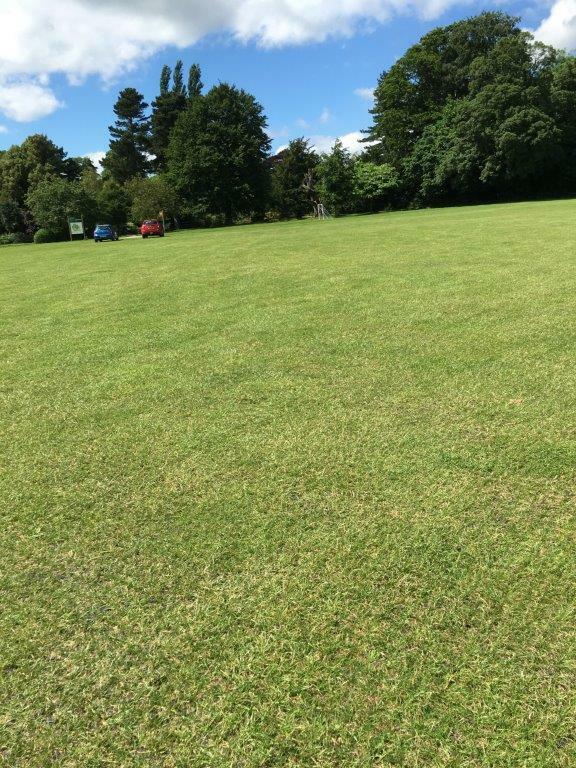 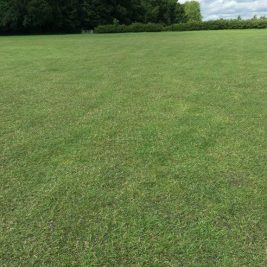 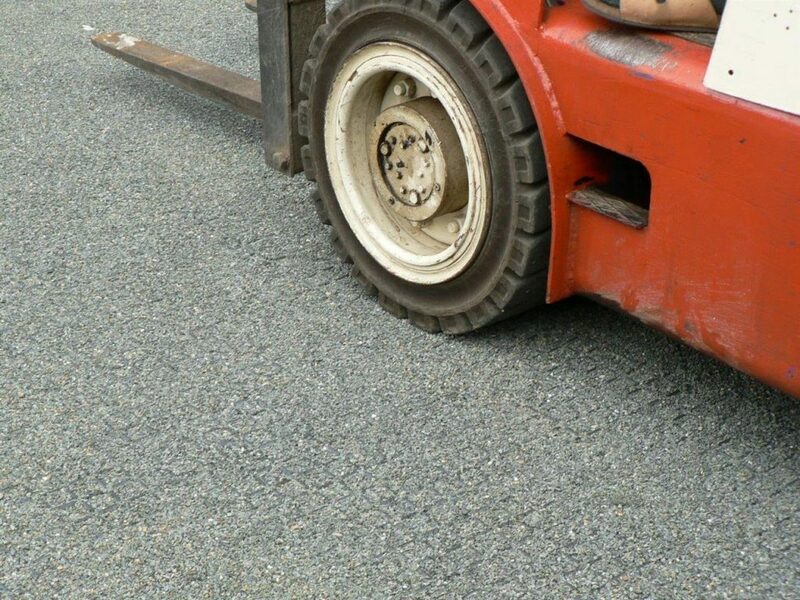 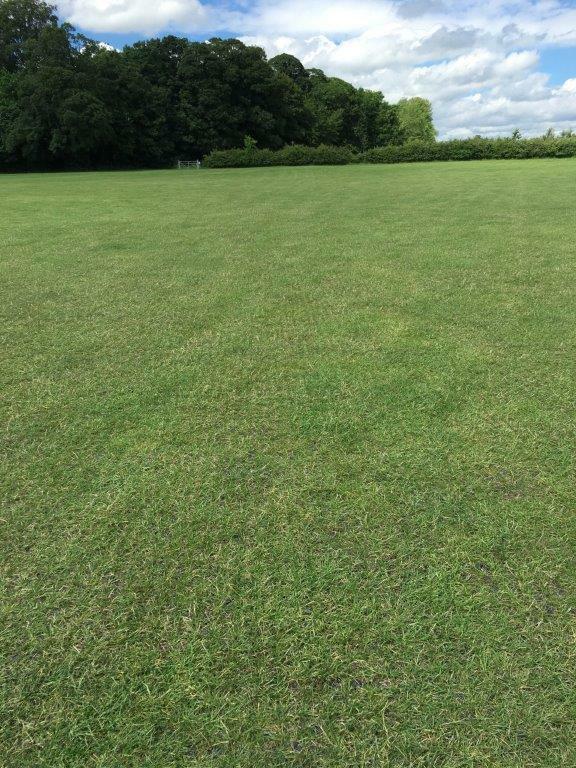 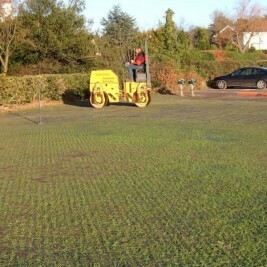 Using a vibratory roller CellPave AP can be placed in existing grass areas. 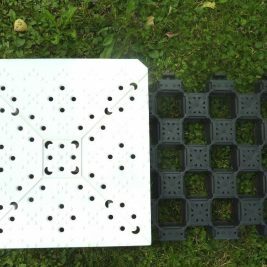 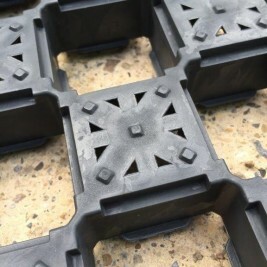 If required, they can also be placed in soil and onto a prepared sub-base. 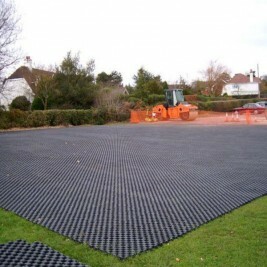 Additionally, they can be also back-filled with sand, soil or gravel. 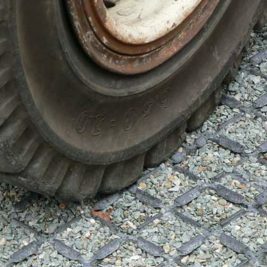 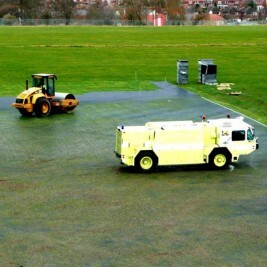 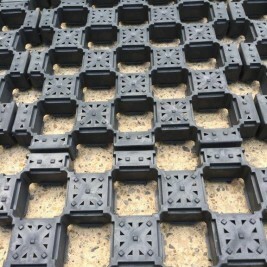 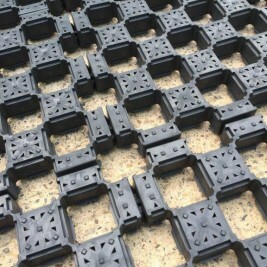 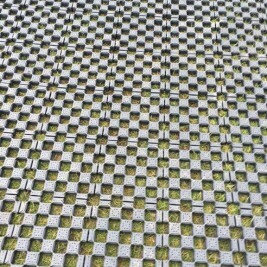 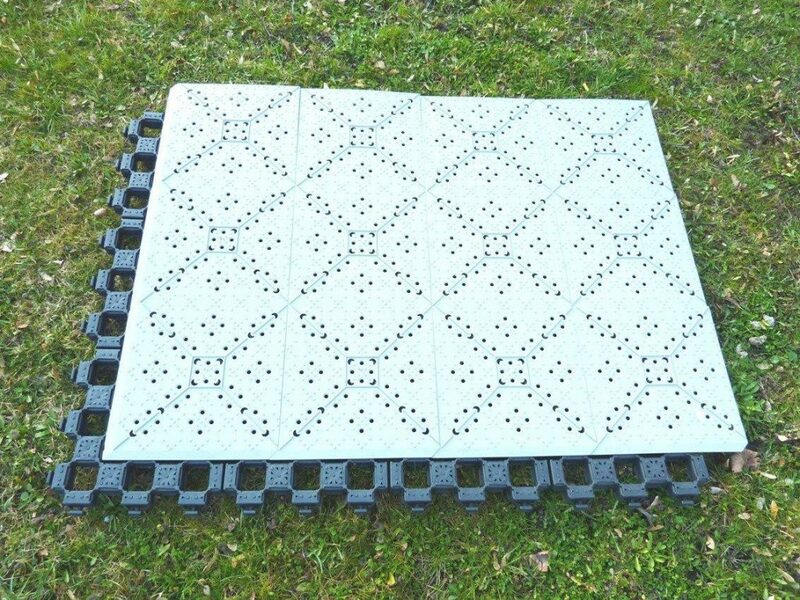 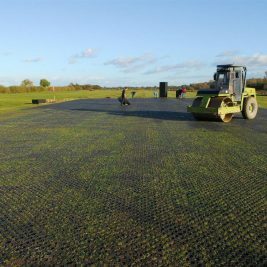 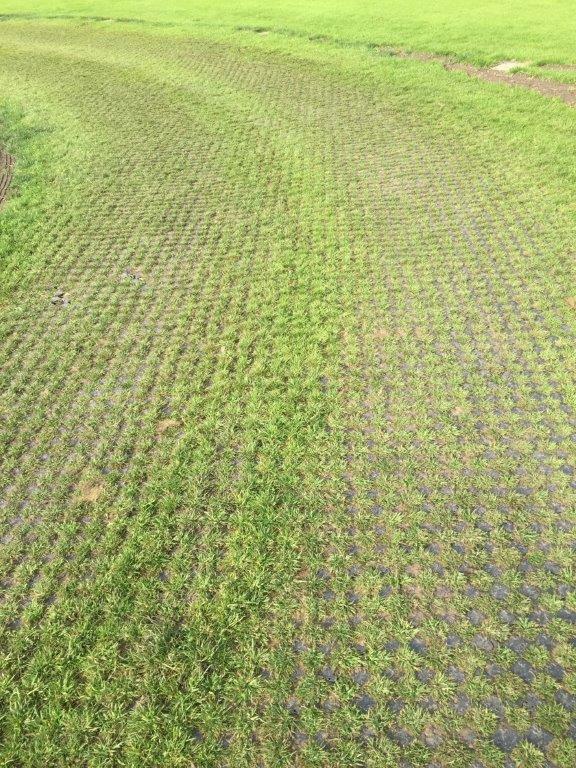 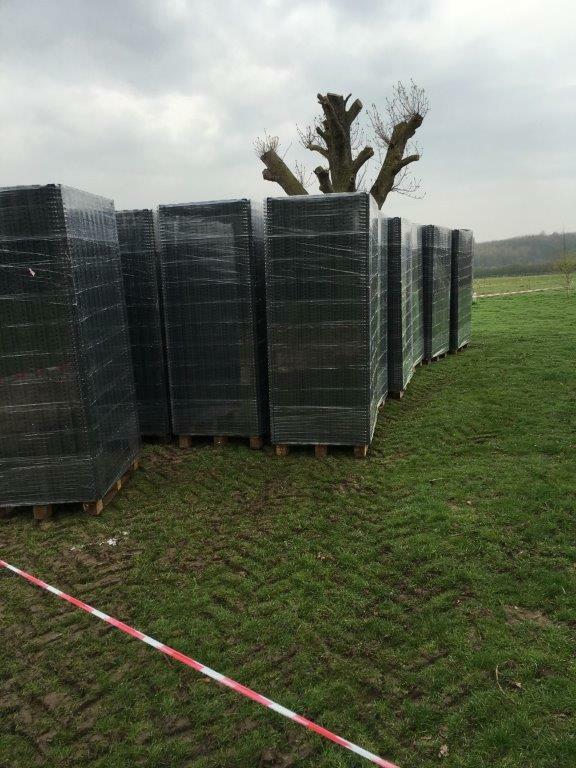 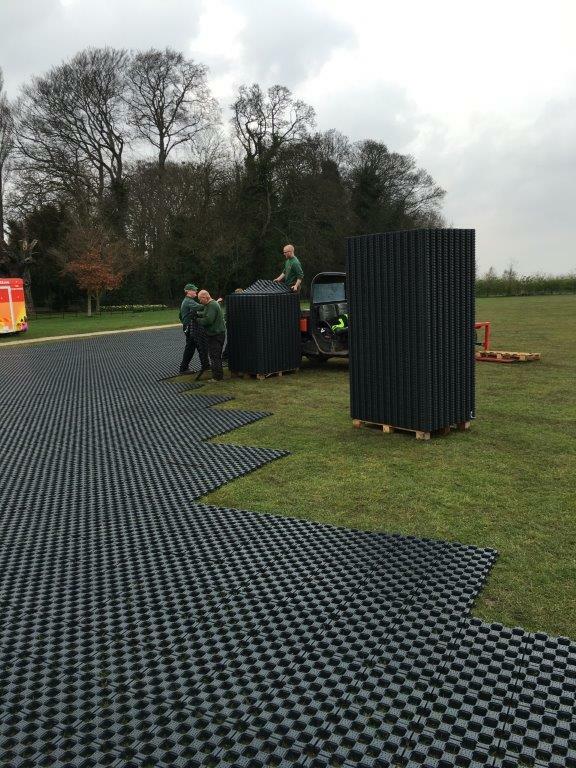 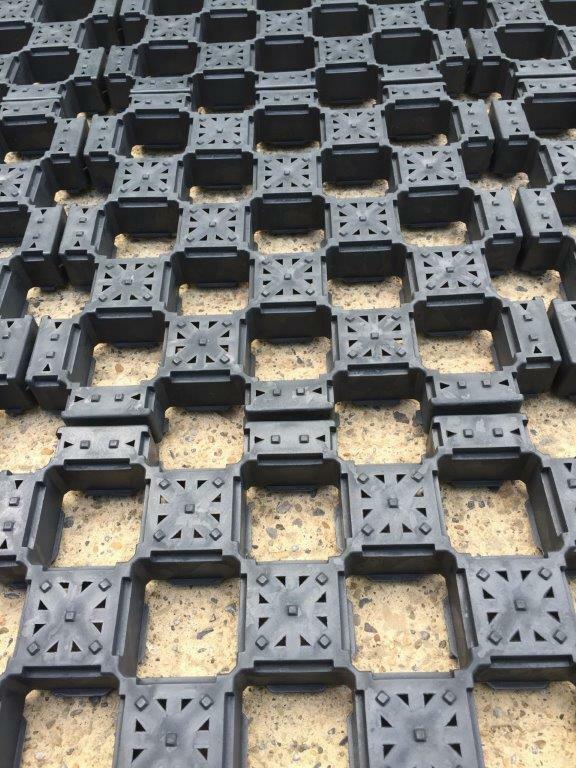 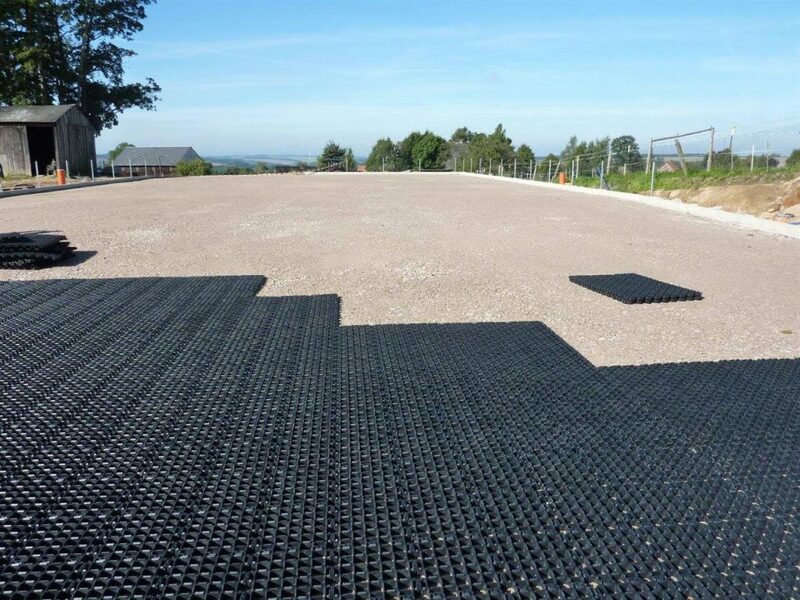 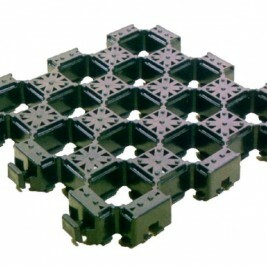 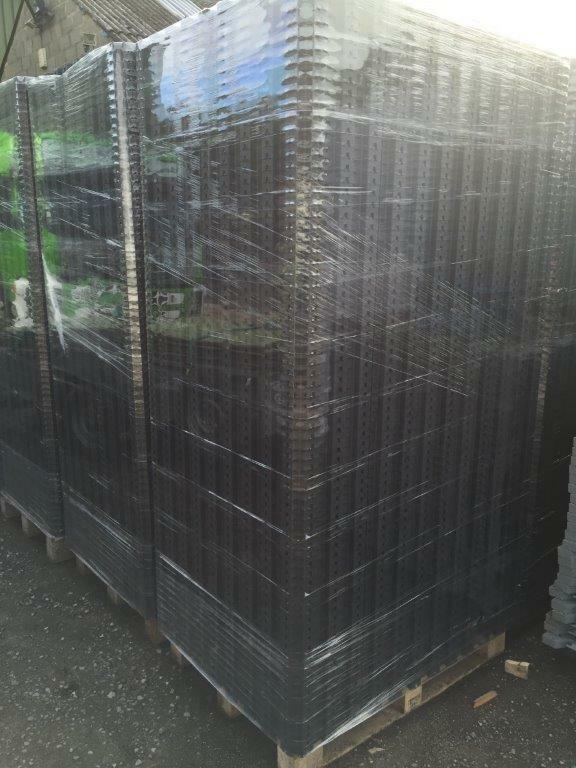 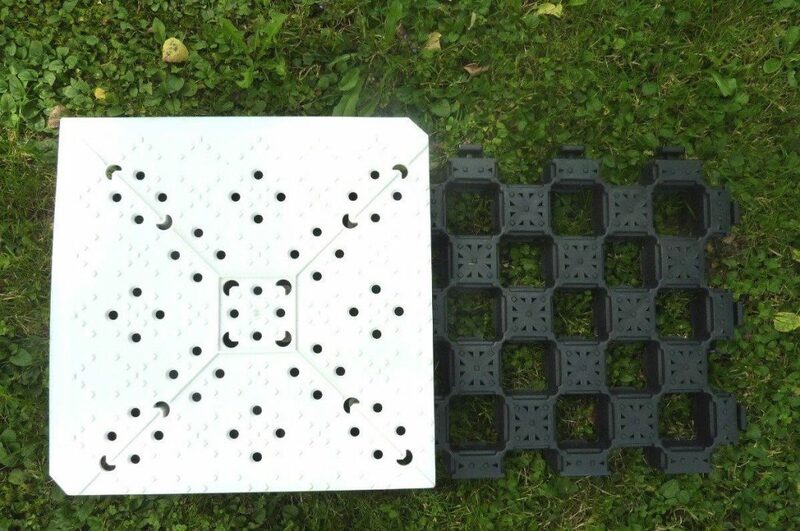 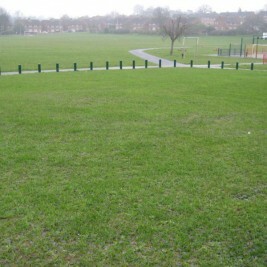 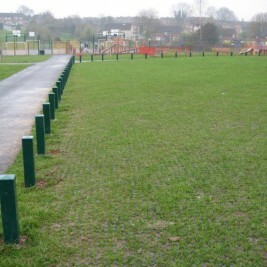 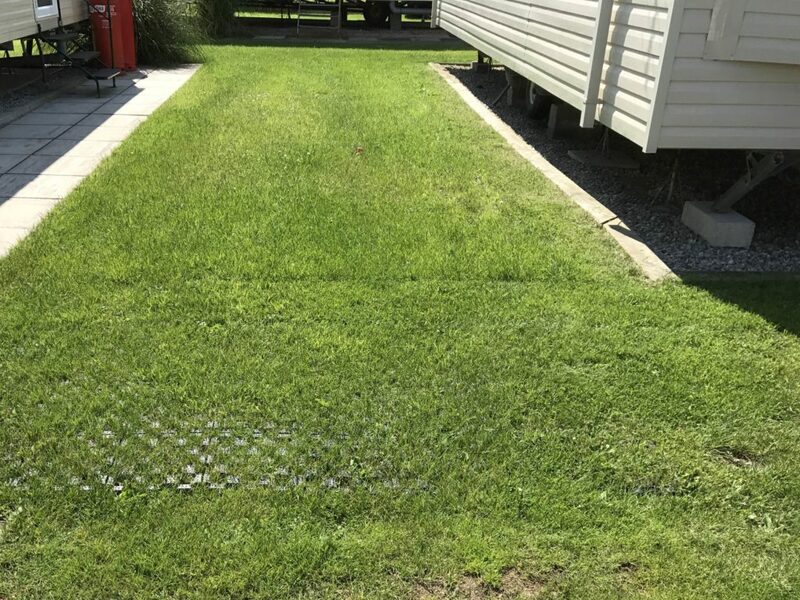 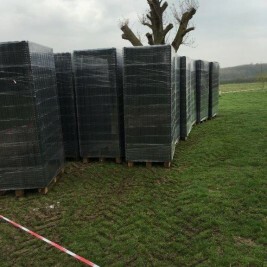 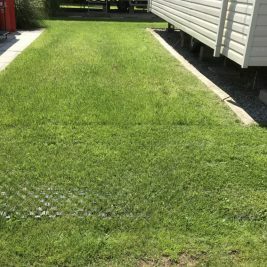 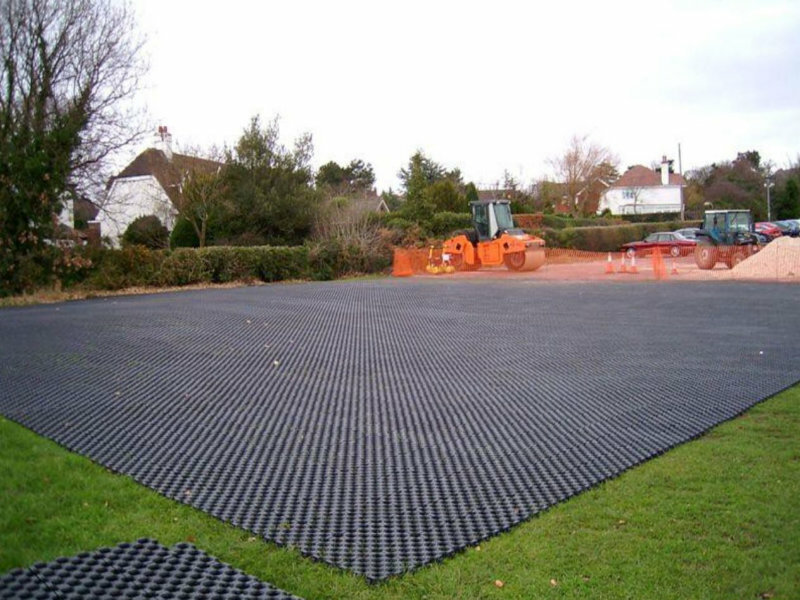 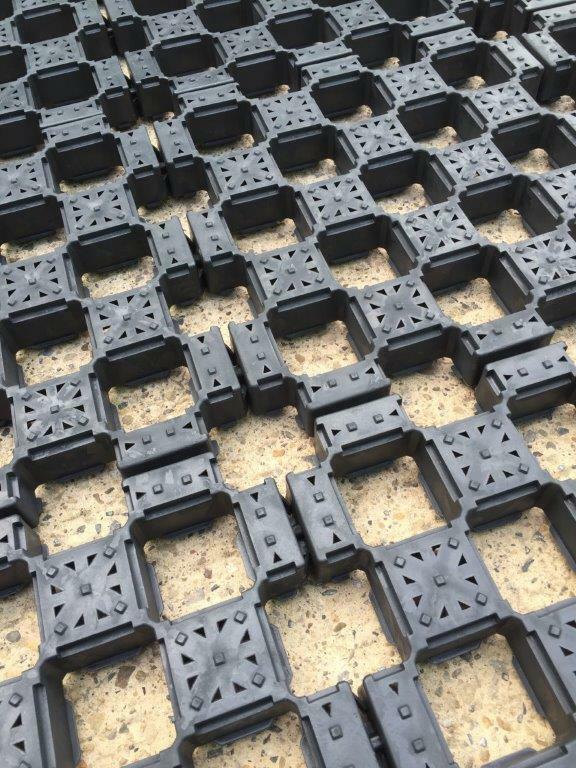 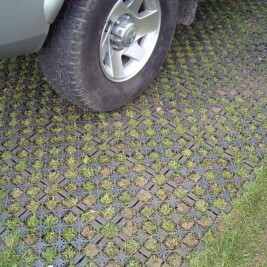 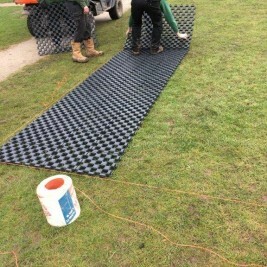 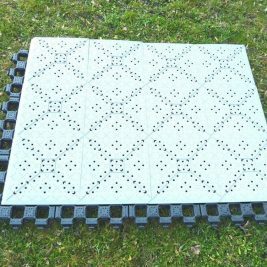 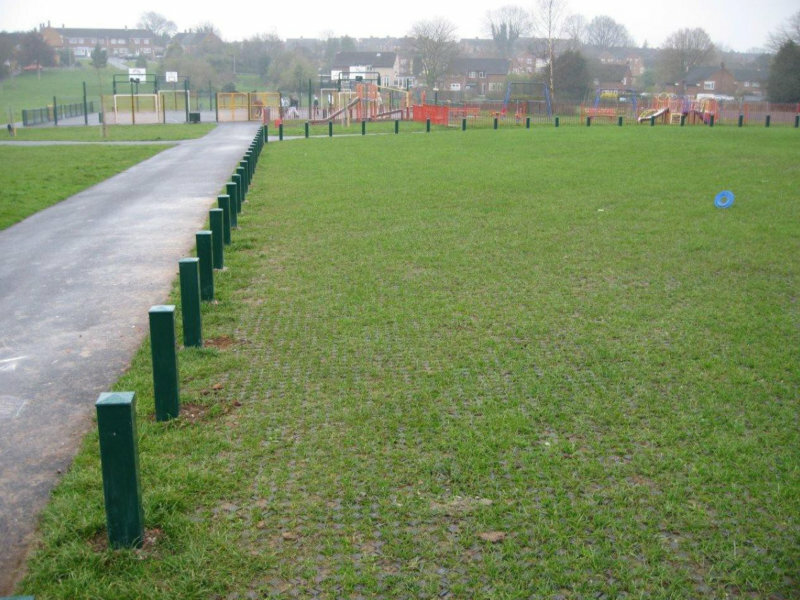 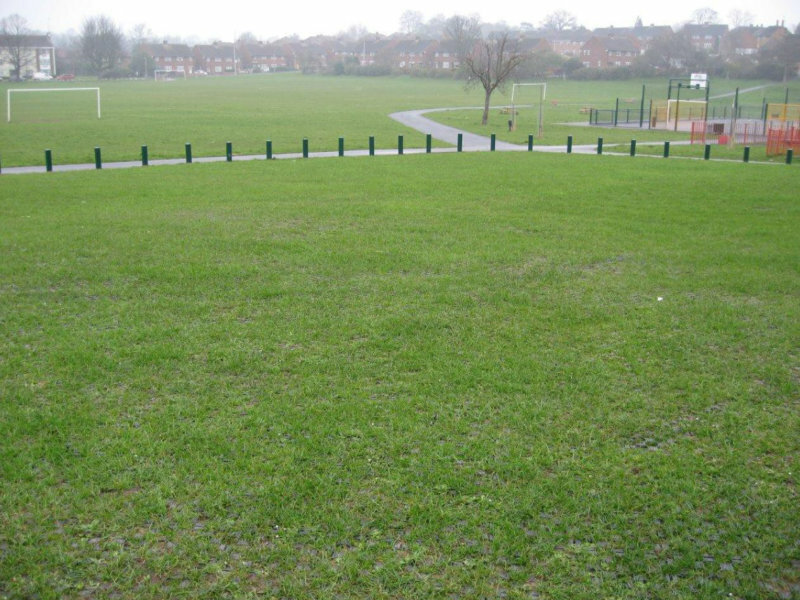 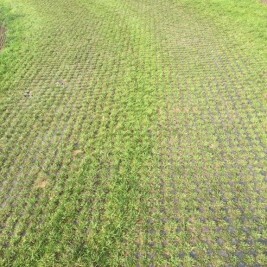 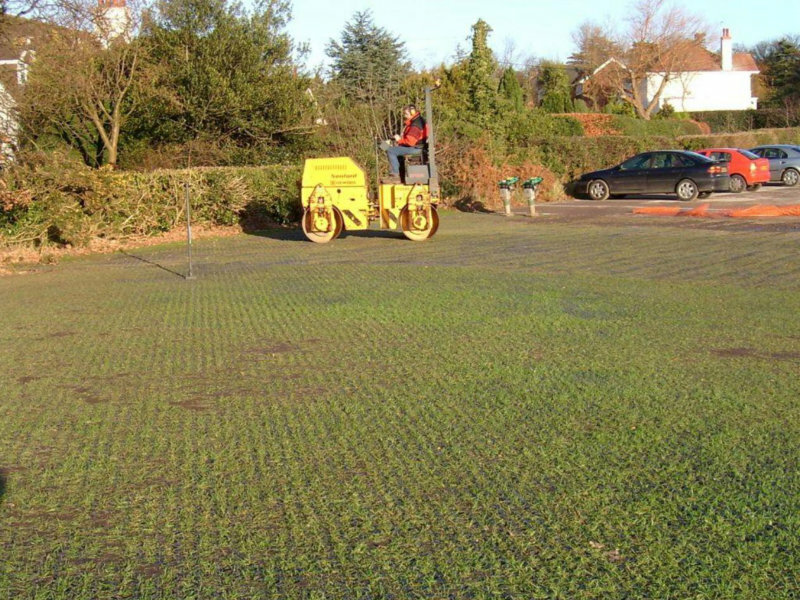 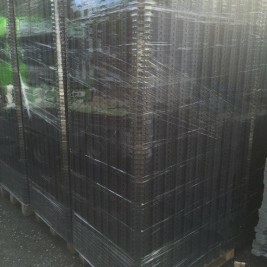 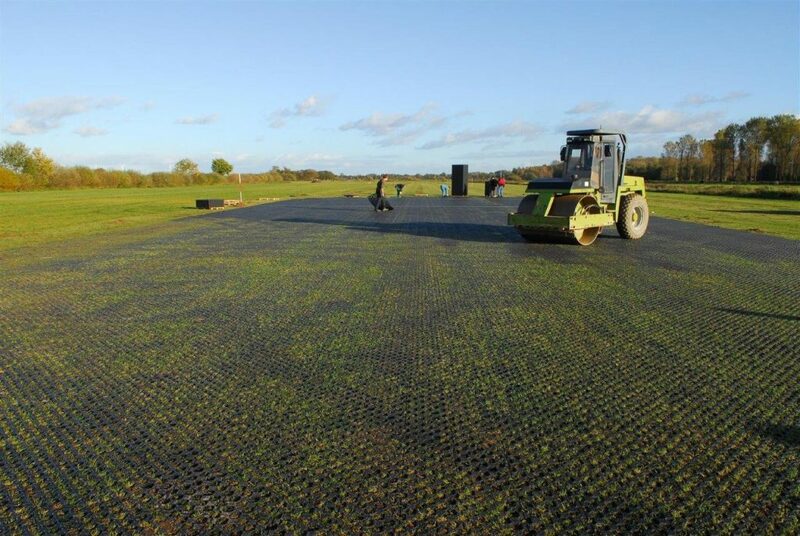 CellPave AP is installed quickly and easily and it provides a cost-effective way of reinforcing existing grassed areas. 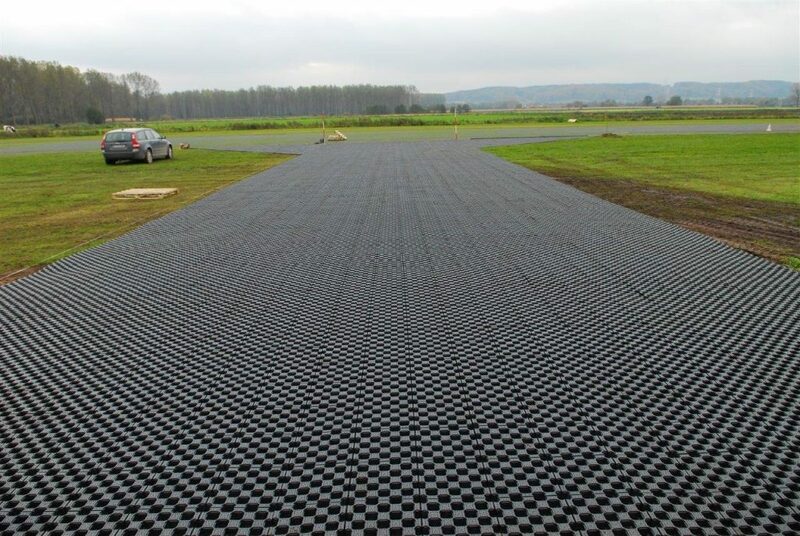 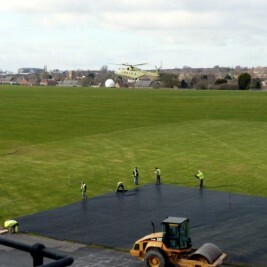 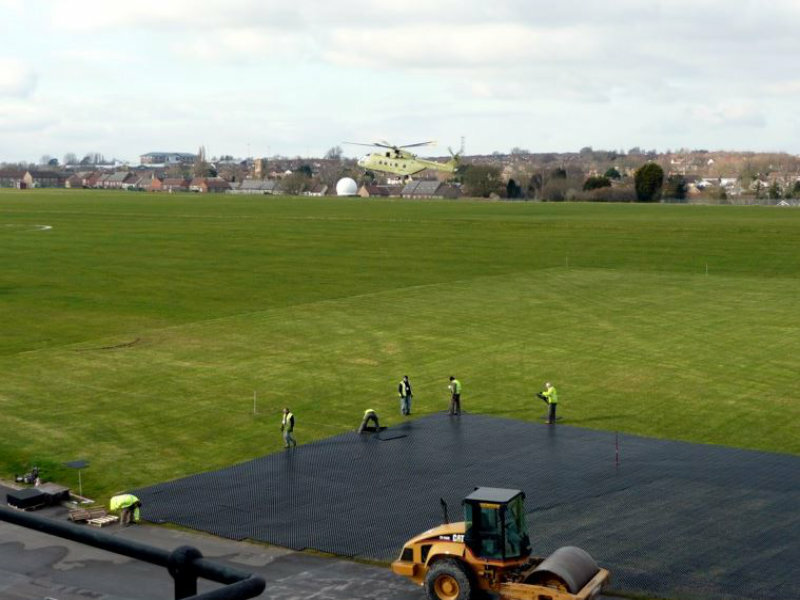 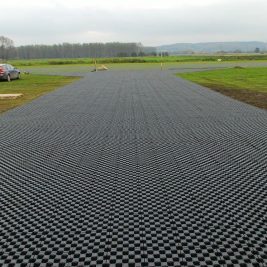 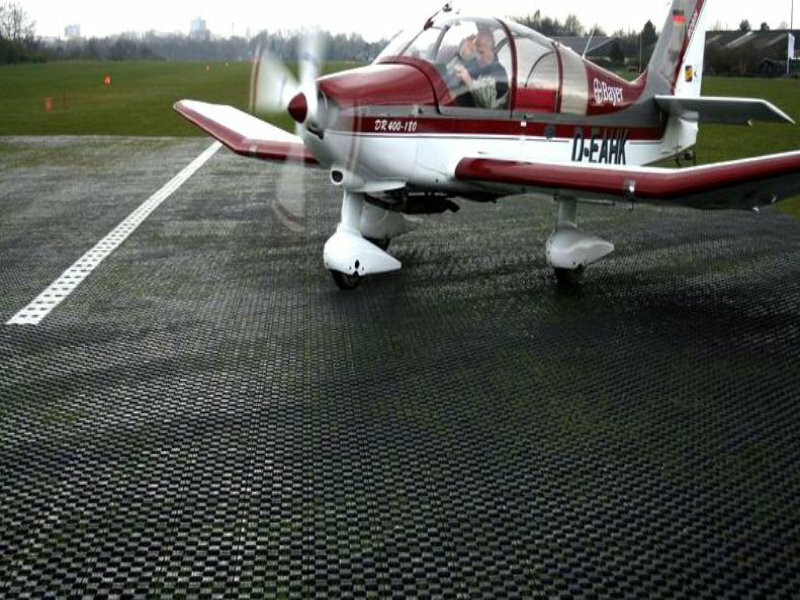 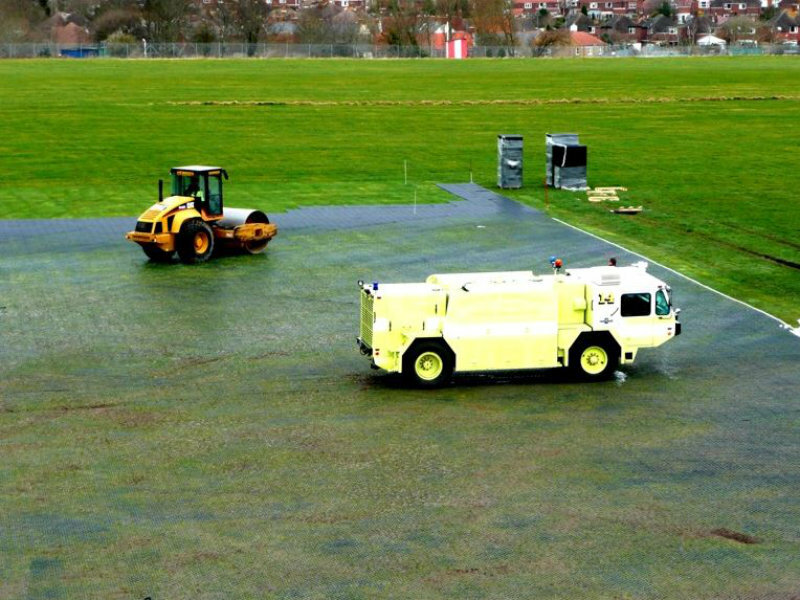 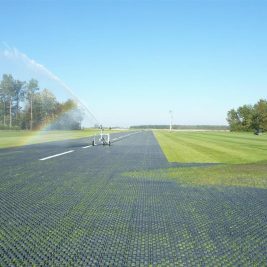 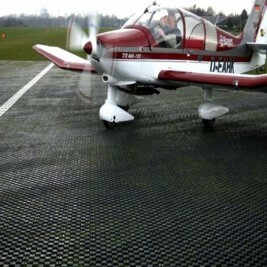 It is used extensively for car parking and to reinforce grassed aircraft runways and taxiways. 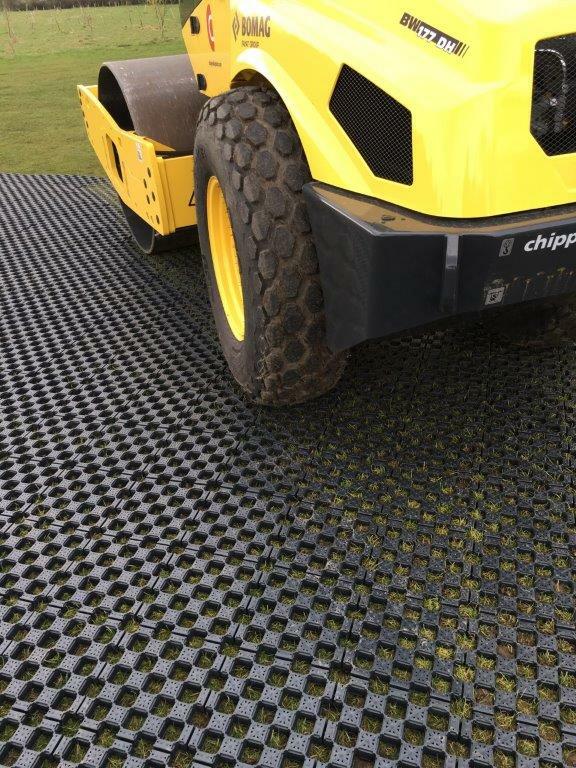 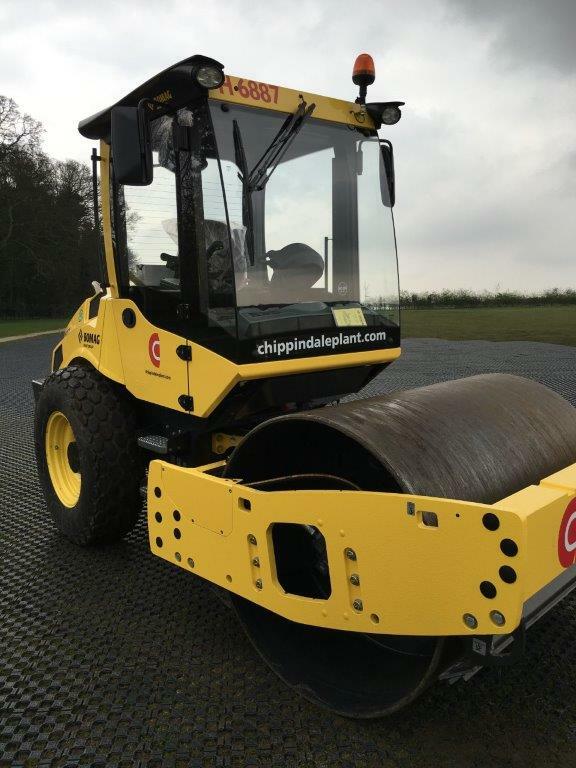 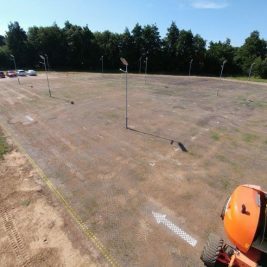 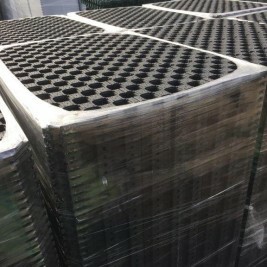 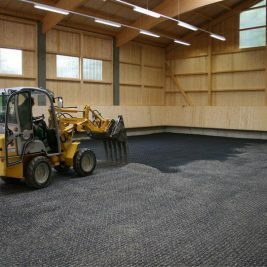 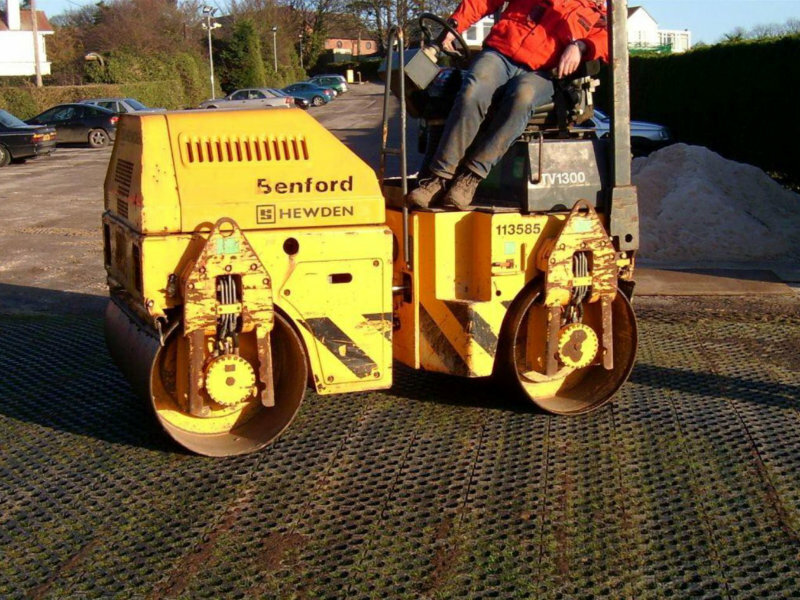 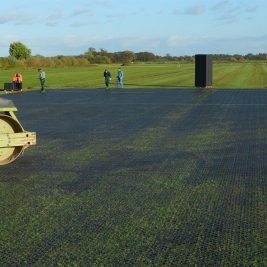 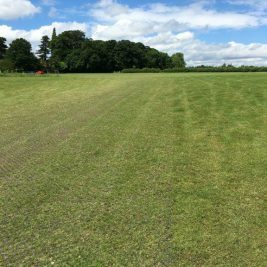 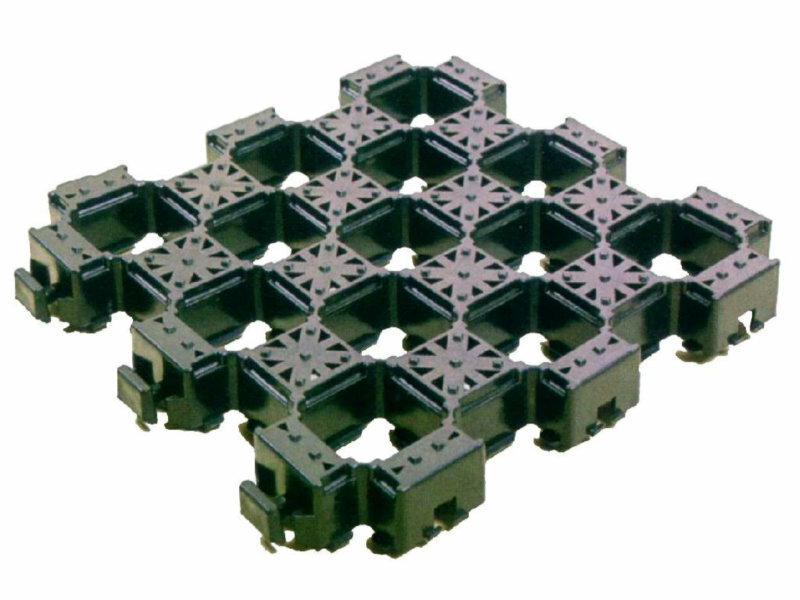 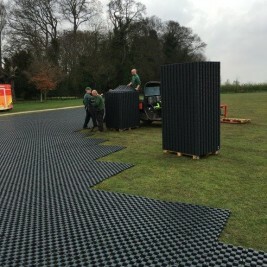 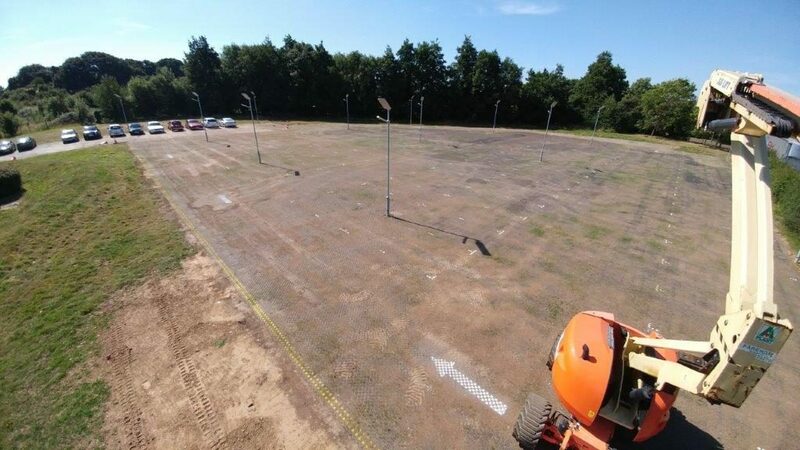 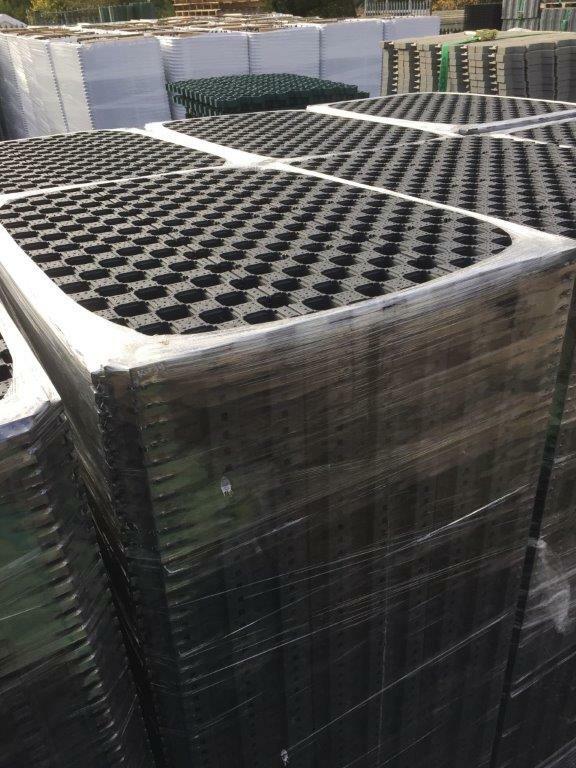 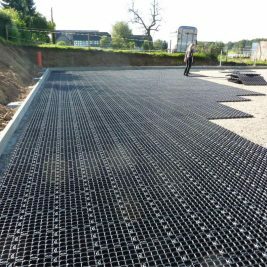 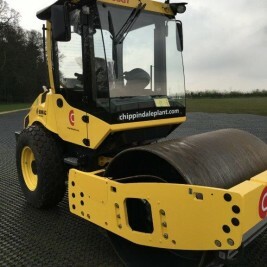 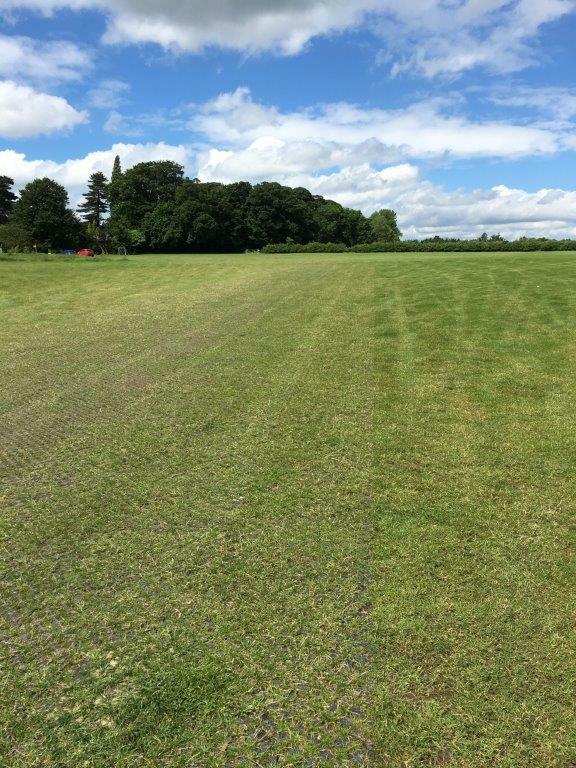 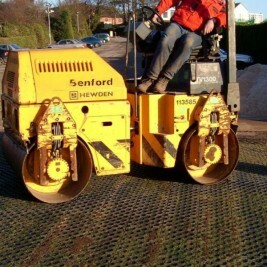 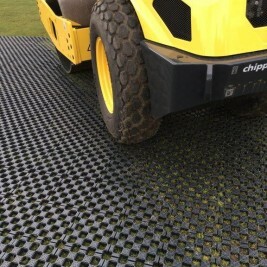 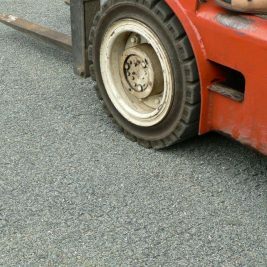 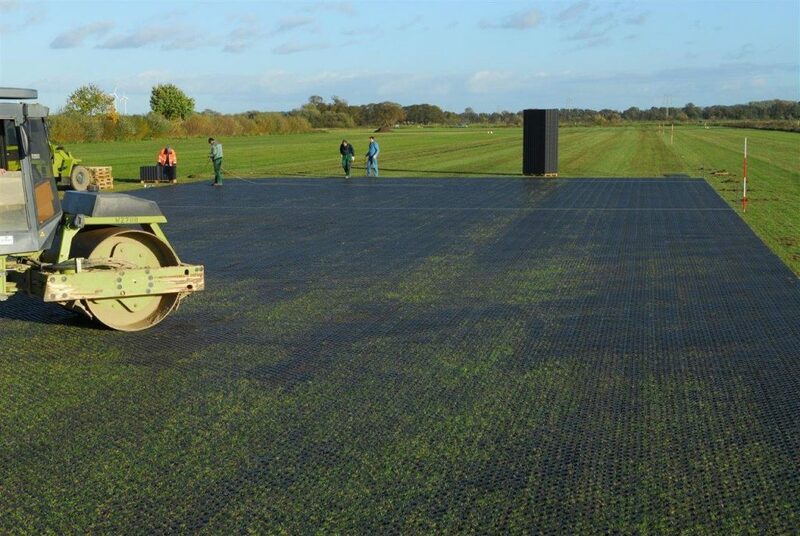 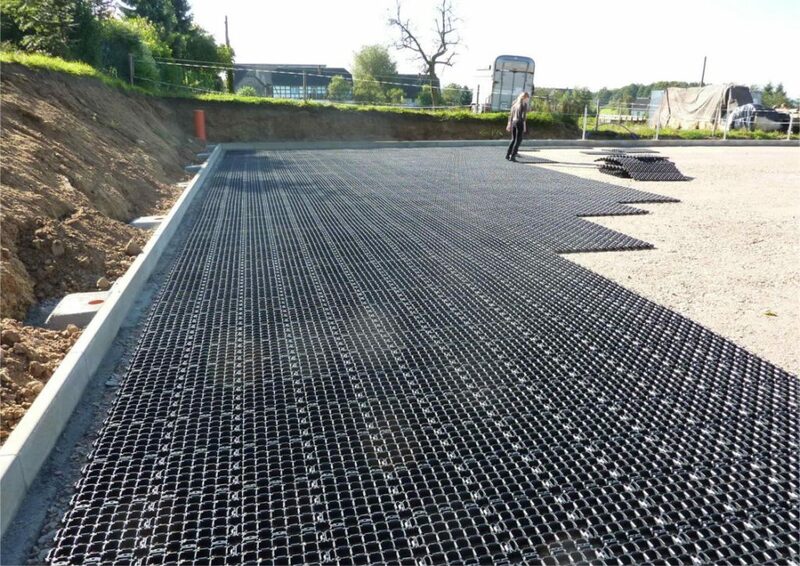 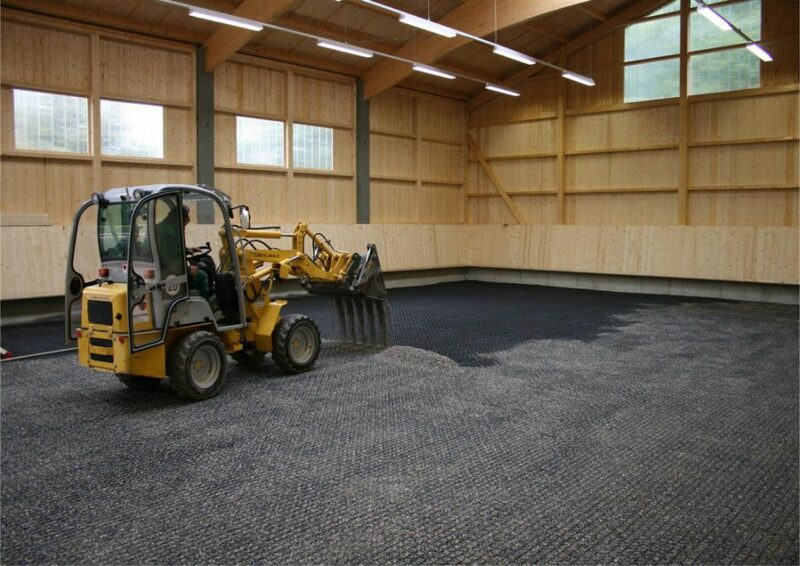 The grids are a much stronger alternative to roll out meshes that are pinned into place as the grids themselves are vibrated into the ground with a vibratory roller. 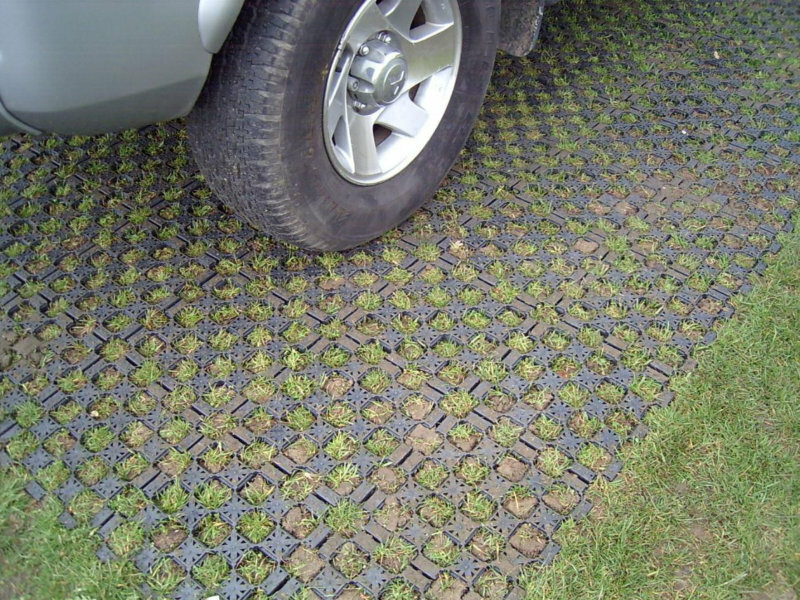 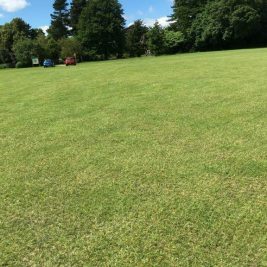 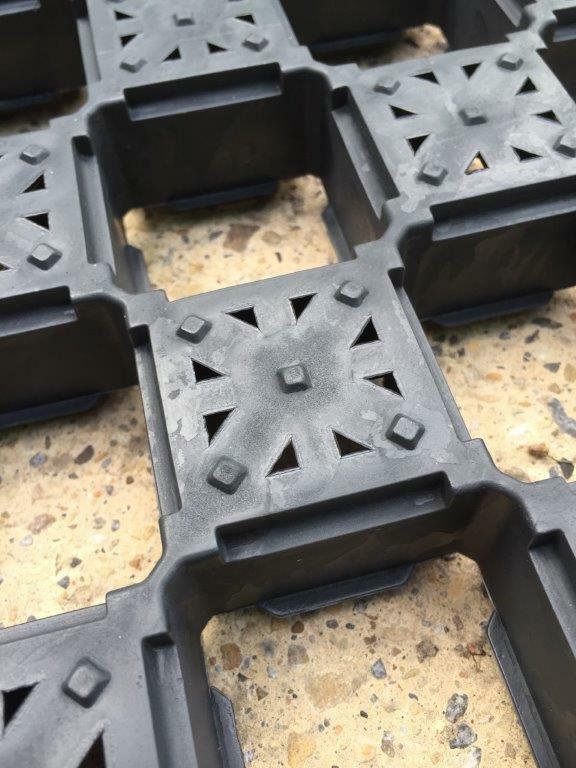 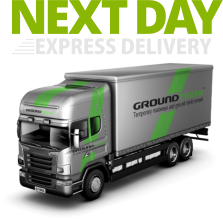 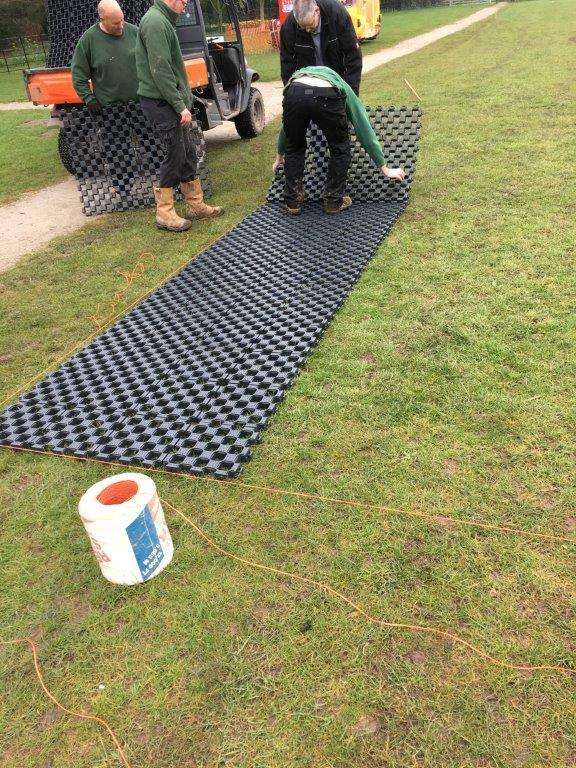 This product should only be considered for installation into well-established grassed areas and the ground should be free draining. 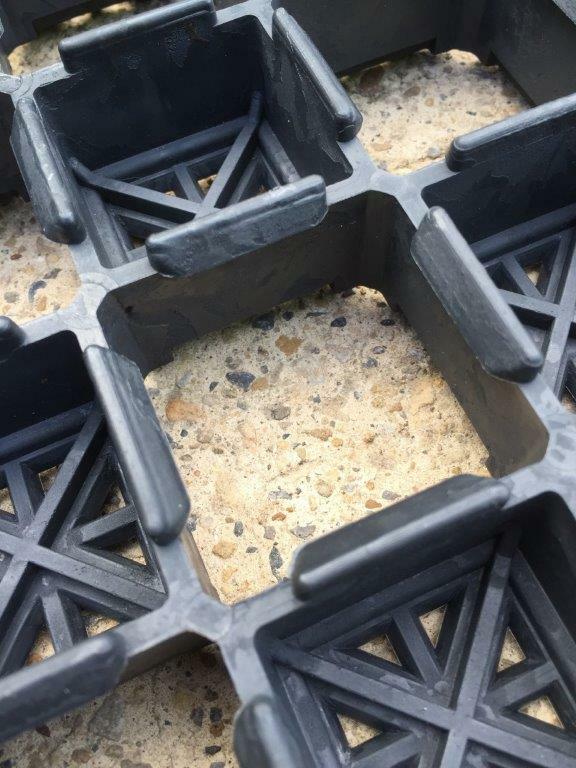 During prolonged wet weather, some muddy areas may still develop and the success of the product is very much dependent upon the bearing capacity of the existing ground. 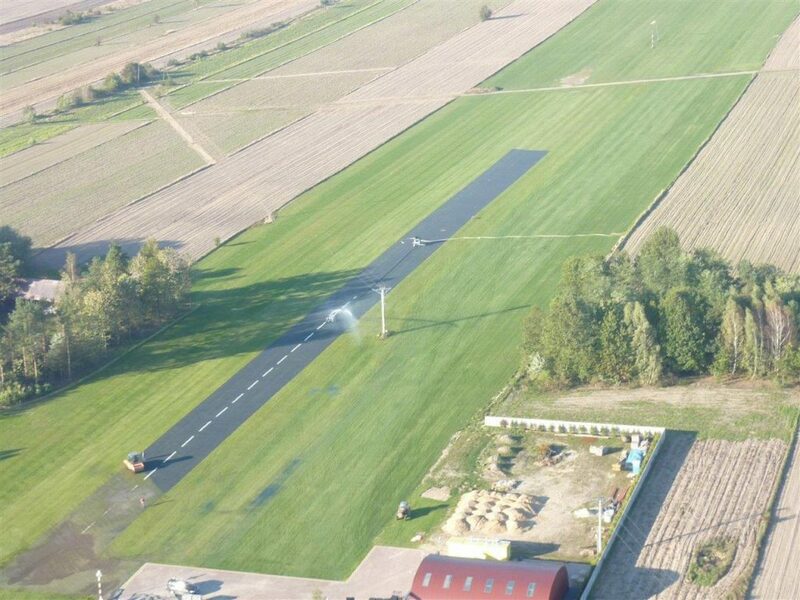 Drone footage of the latest CellPave™ AP installation at Insch Airfield in the Grampians. 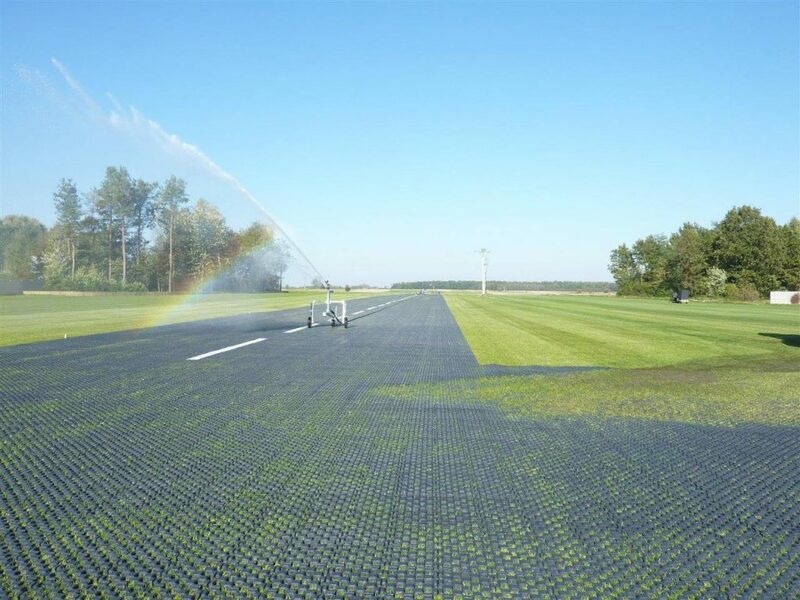 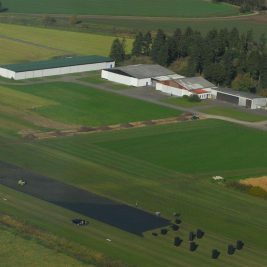 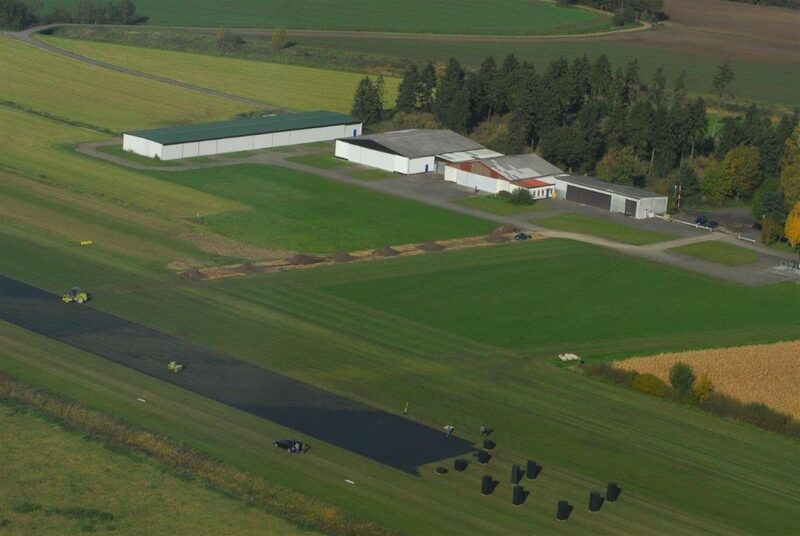 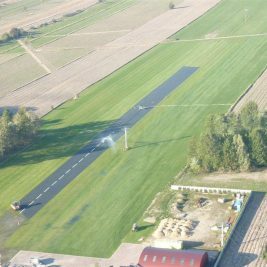 Click HERE to view a list of airfields, with more than 1.5 million square metres installed at 60 International Airfields over the last 15 years.